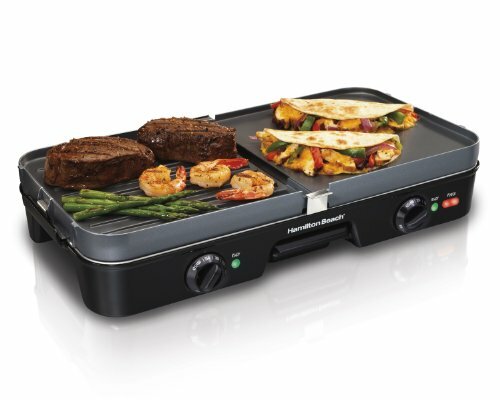 Make café-style hot sandwiches right in your kitchen with the Hamilton Beach Panini Press. 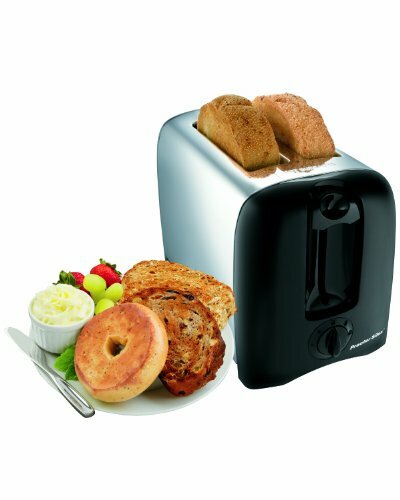 Load up two slices of bread with your favorite meat, cheese and veggies, and create a satisfying meal in one easy press. Designed to accommodate everything from single-slice ham sandwiches to piled-high grinders, this Panini Press heats ingredients, melts cheese, and creates a mouth-watering crispy outer crust. 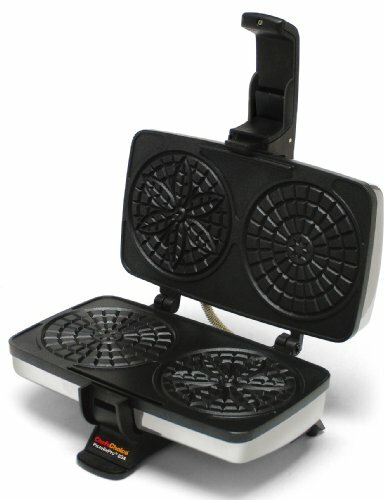 Grill sandwiches of any thickness, thanks to a floating lid that expertly presses down onto the bread and leaves appetizing grill marks behind. Make multiple sandwiches at once; the grill plates measure 12 inches by 8 ½ inches and have a nonstick coating for easy cleanup. Choose from upright or horizontal storage, as the lid locks in place. 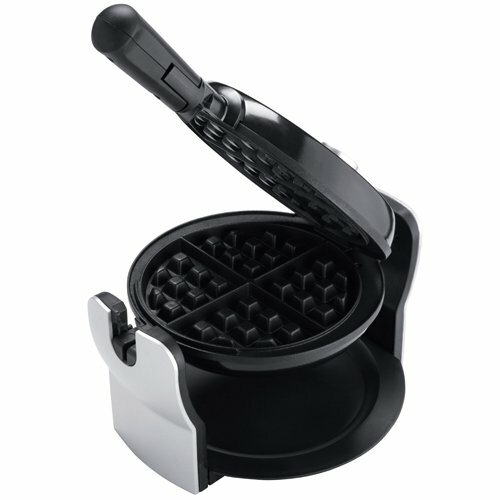 The locking function is also handy for keeping the lid upright for making open face snacks or cleaning the plates. 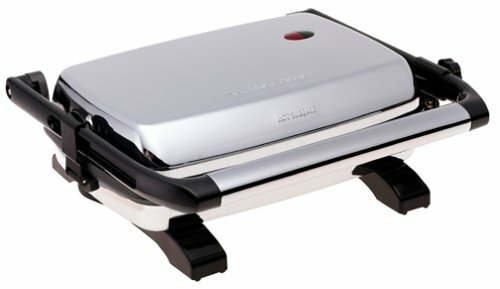 From grilled cheese to chicken quesadillas, the Panini Press offers the kind of versatility everyone needs in the kitchen. A ham and cheese or tuna sandwich can be pretty boring. Take your classic cold sandwiches to the next level with the Panini Press. Who wouldn’t like a hot toasty sandwich with melted cheese and appetizing grill marks? Host a make-your-own panini party for an easy entertaining idea. Have picky eaters at home? Offer a variety of options, and let kids create their own idea of a perfect sandwich. Parents can have their own version for a meal that makes everyone happy. Whether it’s a grilled vegetable sandwich on whole grain bread or a decadent three-cheese sandwich on white bread, the choices are endless. 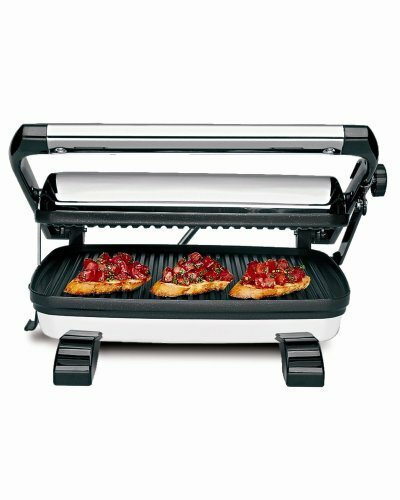 Thanks to an adjustable lid, this Panini Press will accommodate the thinnest slices as well as thick slices of artisan bread. Sandwich rolls, English muffins, pita bread, tortillas, and wraps are delicious alternatives to sliced bread. Café or restaurant panini sandwiches can be expensive and you may not know what ingredients are being used. 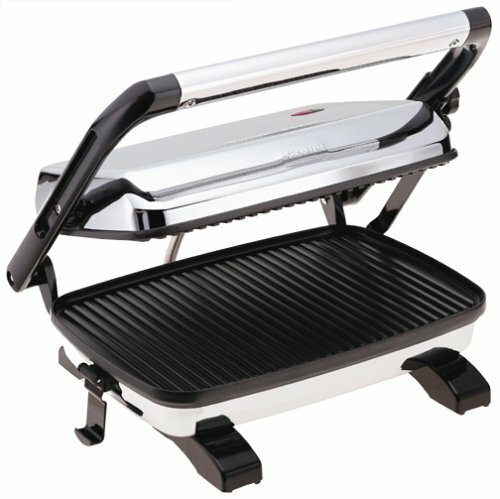 The Panini Press is perfect for anyone who needs a fast, easy meal that can be customized to satisfy any taste. Choose from upright or horizontal storage, a thoughtful feature for the space-efficient kitchen. 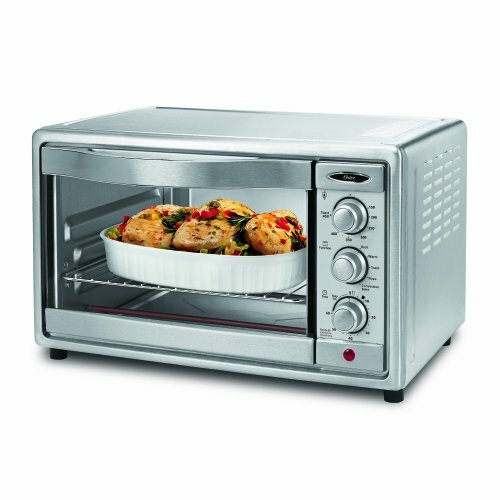 Two indicator lights signal power and preheating. Use vegetable cooking spray for convenient, stick-free cooking. Or if you prefer, brush cooking surfaces with vegetable oil before preheating. Use plastic utensils on the nonstick cooking surfaces. Thicker sandwiches may shift when being pressed. 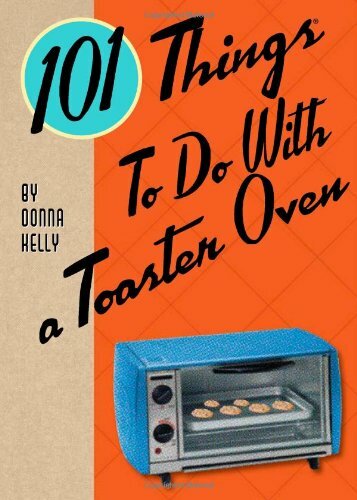 Use a plastic spatula to reposition. Place sandwich in center of press. When a recipe calls for fruit, lock the cover in place above the fruit so that it heats but does not contact the fruit. There is no need to press down on the handle. The weight of the cover will grill the top of the sandwich. Cleanup is easy. Let panini press cool down. Wipe cooking surfaces with damp paper towel or dish cloth. 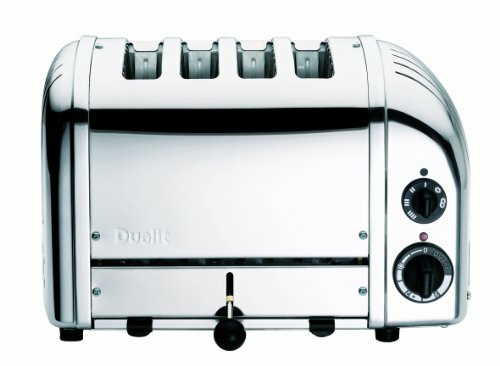 We all know that hot grilled sandwiches are delicious, but this countertop wonder can do so much more. 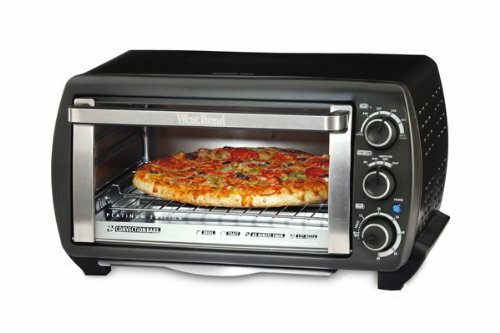 Go beyond the sandwich and try making a pizza or serving up quesadillas. Think outside the box and make dessert, perhaps grilled pound cake slices topped with strawberries and whipped cream.